Carpet cleaning can be a tiring chore. Most of us vow to take care of the carpeting in our home but it inevitably falls to the back of our to-do lists what with everything else to take care of in our daily lives. Now, if taking the time to clean your carpets regularly sounds like an impossible dream, consider hiring our professional carpet cleaners Highbury for the job. We’ve got a fabulous carpet cleaning service and we’d love to help you keep your home looking fresh and beautiful. To contact our carpet cleaners, give us a call at 020 8396 4006. There are numerous benefits of hiring our carpet cleaners. For starters, the results achieved by professional cleaners will always be better than any DIY home cleaning project. It is also worth noting that our carpet cleaning team has industry-grade tools, products and equipment at its disposal, which means we can guarantee fabulous results, time after time. Carpet cleaning can be quite tricky and using the wrong kind of product or overdoing a seemingly simple action can actually do more harm than good. You might remove the dirt and stains but you could also end up burning a hole into the carpeting or bleaching the colours out! To avoid such mishaps you should only trust professional carpet cleaners in Highbury N5. When you want to fight dirt, odour, stains and splotches, give us a ring. Replacing a carpet can be terribly expensive so don’t leave cleaning and maintenance until the last moment. Apart from our regular carpet cleaning and care services we also offer some specialty care services. Just noticed how that tiny tear in the carpet is now a couple of inches long? Bothered by some stubborn grease stains that only seem to be getting worse with time? Burned a hole into the carpet fibres and can’t get over how bad it looks? No matter how big or small your carpet-related woes are our team of professional N5 carpet cleaners can take care of it. All you need to do is contact our Highbury cleaning contractors at 020 8396 4006. Our carpet cleaning services can be used for regular maintenance purposes as well as deep cleaning purposes. Whether you’re just investing in keeping your carpet looking good or you’ve got a special problem you’d like tackled, our N5 home cleaning agency will take care of your cleaning requirements. 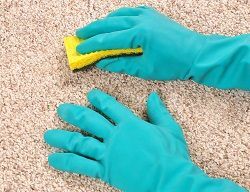 We’ve got a number of different cleaning services to offer: so whether you’d like to have a carpet stain tackled or your carpet fibres are looking a little dull and lacklustre, you can be assured of fantastic results. Once our N1 professional cleaners return your product, it’s up to you to take good care of it. Our cleaning agency swears by the benefits of proper carpet care and maintenance. A little bit of effort can go a long way in keeping your carpet looking fresh in between professional cleanings. Firstly, allow your carpet to ‘dry out’ and ‘settle’ completely after we return it to you: wait a few days before you place furniture on it again. Adhere to the cleaning guidelines mentioned on your purchase receipt. Vacuum your carpet about once a week to avoid dirt build-up. For more advice on carpet care and to hire our NW1 cleaning agency, give us a call at 020 8396 4006.